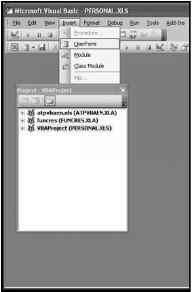 To add a form to a project, select Insert/UserForm from the menu bar in the VBA IDE as shown in Figure 6.2. 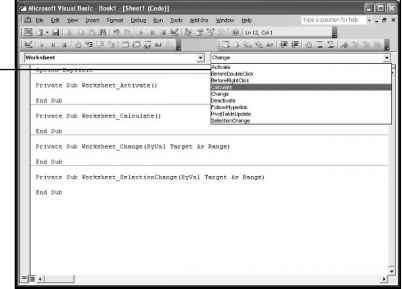 Inserting a VBA form into a project from the VBA IDE. A new folder labeled Forms will appear in the Project Explorer window. An example of a form just added to a project is shown in Figure 6.3. 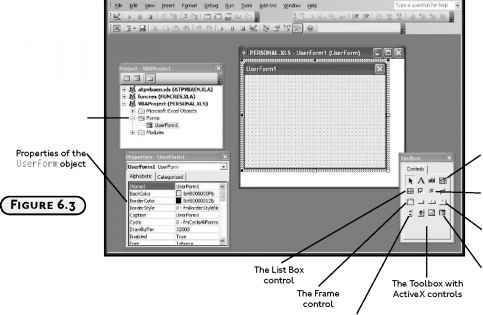 A new UserForm as viewed from the VBA IDE.